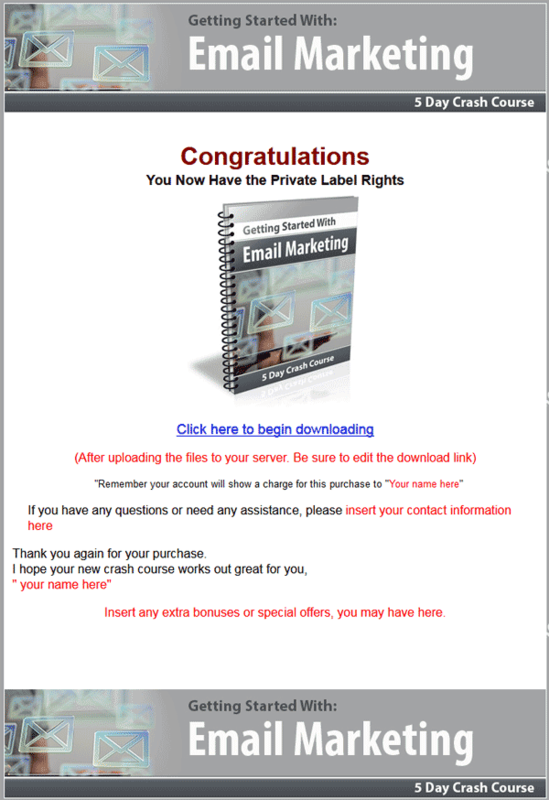 Getting Started With Email Marketing PLR Autoresponder Messages is your complete list building package with private label rights to call your own. The entire course is easy to customize. With a few clicks of your mouse, you can add your contact information to all of lessons in the series at once. 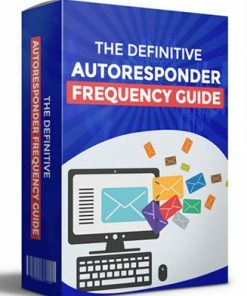 Autoresponder Messages – 5 high quality pre written email messages that explain how to get started with email marketing with high quality content that is very usable. No need to struggle to writing your emails, or sitting in front of a blank computer screen, we’ve already done the work for you. They are as close to copy and paste as you can get. Plus they are simple to customize as you want. 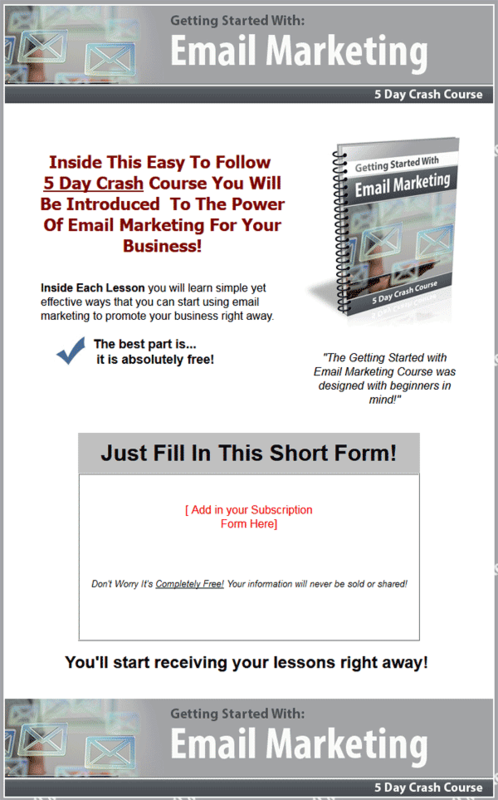 Squeeze Page – Quality landing page for the Getting Started With Email Marketing PLR Autoresponder Messages package that gets you started quickly. 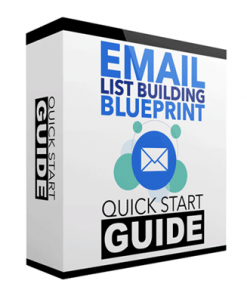 All you need to do is copy and paste the optin code from your autoresponder service and you have a list building machine that works for you on auto-pilot. 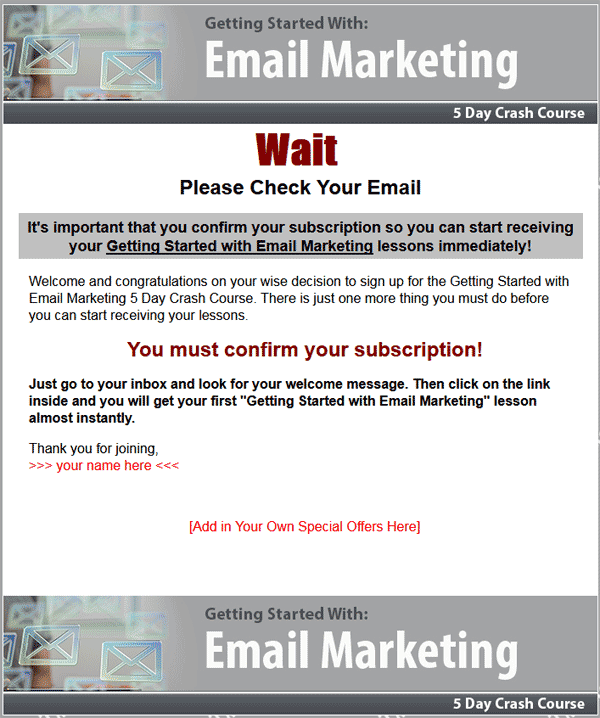 Confirm Page – If you use double opt-in with your email marketing or autoresponder service, the Getting Started With Email Marketing PLR Autoresponder Messages confirm web page will help encourage your new subscribers to verify their email address, and that can help you build a bigger list, faster. And as you know a bigger list could mean more clicks and more sales. 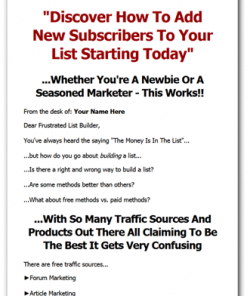 Reseller Kit – Comes with everything you will need to resell the Getting Started With Email Marketing PLR Autoresponder Messages package. You’ll be getting a professional and modern sales page and a matching product download web page. Simply insert your payment link and your product download link, upload the simple two web pages and it’s ready to make you money. Better yet you get to keep 100% of the profits on every one you sell. They are standard HTML pages so you know they are easy to edit. PSD Images – We’ve included the PSD for the graphics including, background, cover cover3d, footer and header. So you can brand, change or edit them as you wish. 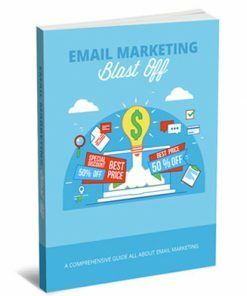 The Getting Started With Email Marketing PLR Autoresponder Messages series comes with over 4,000 words of high quality content that is sure to keep your subscribers opening and reading each autoresponder messages that you sent out. Plus we also improved the subject lines to help you get better open rates. All messages come in both Word DOC and plain text format so you know they are easy to edit. The text messages are even pre formatted to 65 characters or less, the recommended width for most autoresponder services, to save you time editing. 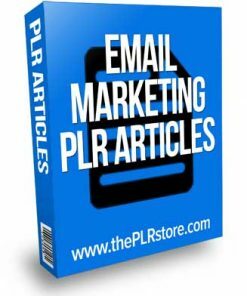 All the Getting Started With Email Marketing PLR Autoresponder Messages comes with a closing hook, that hints about what is coming in the next email your subscribers get. 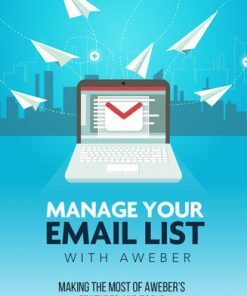 It is another way to help you keep your readers opening and reading your email and getting you the best chance of getting those clicks on your promotional links. You also get a message template so you can quickly and easily create as many new messages as you like. There is even a legal disclaimer to help you protect yourself and your business. 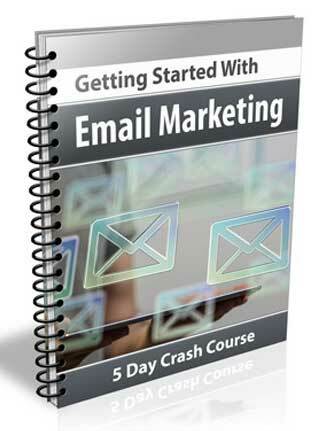 5 Day Crash Course You Will Be Introduced To The Power Of Email Marketing For Your Business! 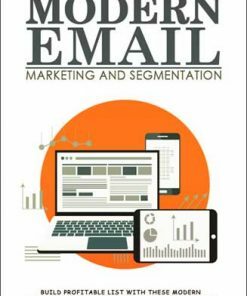 Inside Each Lesson you will learn simple yet effective ways that you can start using email marketing to promote your business right away.